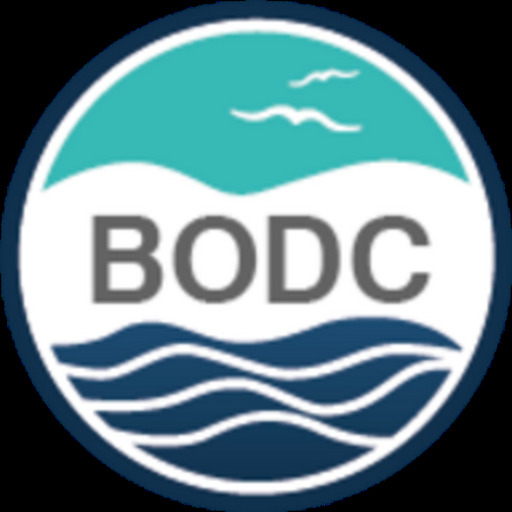 Through our partnership with the British Antarctic Survey (BAS), the Rothera Oceanographic and Biological Time Series (RaTS) data set is now accessible via the British Oceanographic Data Centre's (BODC) online series request facility. Currently, over ten years of CTD data are presented. In a few months, moored current meter data will also be made available. Figure 1 - Rothera Time Series off western coast of the Antarctic Peninsula in the Marguerite Bay. Sampling began in January 1997, at a site (Site 1) approximately 4 km from the coast of the BAS station at Rothera. Weather and ice permitting, an upper open hydrographic cast and discrete water sample (at a depth of 15 m) are collected every fifth day during summer and every seventh day during winter. If Site 1 is inaccessible then the secondary station, Site 2, is occupied; if neither are accessible then a water sample is collected near the wharf at Rothera (Site 3) but no hydrography cast is taken.